· Brent Orrell talks about a new report from the National Academy of Sciences that highlights the disparities for low-income high school students and STEM education. · What is the best way for schools to approach STEM skill training? How can this disparity be addressed? 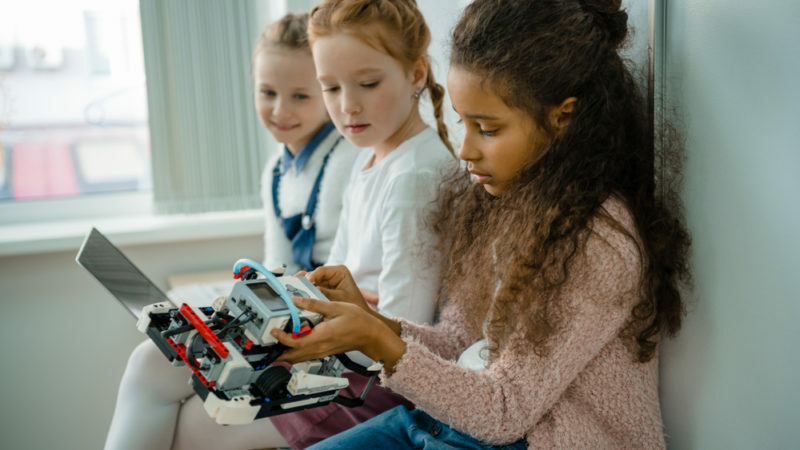 · Check out this article about building diverse and inclusive STEM programs. For decades, policymakers have focused on STEM skill training as a pathway into the middle class, pointing to significant earnings premiums and a growing job market in that sector. As we have recently pointed out, however, the STEM earnings premium is relatively short-lived, while long-term success may depend more on the development of a holistic set of “hard” and “soft” skills (i.e., non-cognitive or socio-emotional skills) that are crucial to workforce perseverance and adaptability. In a new report, researchers at the National Academy of Sciences (NAS) point out that low-income high school students often perform worse and fail high school STEM classes at a higher rate than their wealthier counterparts. The researchers hypothesized that some of this disparity could be explained by the greater levels of test anxiety that low-income students encounter in the “high-stakes” exams administered in these courses, so offering students emotional regulation training might improve their outcomes and narrow the achievement gap. The researchers employed a simple exercise designed to build emotional capacity in students that would act as a buffer against the negative effects of anxiety, and the results were remarkable. Low-income students who participated in the exercise failed STEM courses at nearly half the rate of similar students who did not (18 percent vs. 39 percent). In addition, administering the intervention narrowed differences in test scores between lower- and higher-income students by 29 percent. Read the full article about leveling the STEM playing field by Brent Orrell at AEI.